09 Apr 2019 --- Current infant nutrition market leader Nestlé is facing some stark criticism from Changing Markets Foundation (CMF), which slams the conglomerate for using science as “merely a marketing tool to boost sales of its infant nutrition portfolio.” The environmental and social NGO is calling on Nestlé to step up in the breast milk substitute space following the publication of a report which alleges that so far Nestlé has failed to fulfill its previous commitments to making changes to its infant formula ranges. These include removing sucrose and vanilla compounds from all its products for babies aged under 12 months and removing contradictory nutritional advice on sucrose and vanilla flavorings. 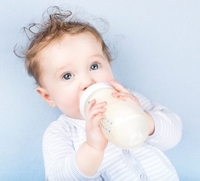 The report, published this week, revisits Nestlé’s infant milk products and claims, one year after the publication of Busting the myth of science-based formula. In response to the comments made in the 2018 report, Nestle said that its products statements are compliant with local regulatory requirements. “In 2015, Nestlé adopted its Maternity Protection Policy. It aligns with the ILO’s Maternity Protection Convention and offers new mothers up to six months maternity leave and access to 425 breastfeeding rooms across our work facilities worldwide,” a Nestlé spokesperson tells FoodIngredientsFirst. Nestlé reportedly applies the WHO (World Health Organization) Code of Marketing of Breast Milk Substitutes and subsequent WHA (World Health Assembly) resolutions as implemented by member states. The involved researchers reportedly also found that Nestlé continues to draw comparisons between its products and human milk, which is prohibited by the WHO Marketing Code and problematic from the perspective of company’s scientific credibility, as formula can never be close to breast milk. The report also looks at the premiumization of its products and pricing strategies by Nestlé, especially in the highly lucrative Asian market, where CMF has previously identified some of the most expensive infant formula products. Feeding a two–three-month-old baby for one month with the most expensive Nestlé formula in Hong Kong would cost a family approximately 3.6 times more than feeding a child with its most expensive formula in the UK. This premiumization happens despite the advice of nutritional and health experts (such as the NHS and UNICEF) that more expensive products have no proven nutritional benefits. On this point, the Nestlé spokesperson points out that the company’s promotional activities of growing up milks are allowed by the Hong Kong national law and its own policy. “Furthermore, pricing is determined by many factors including import duties, local taxes, costs of production and distribution and trade margins,” the spokesperson concludes.